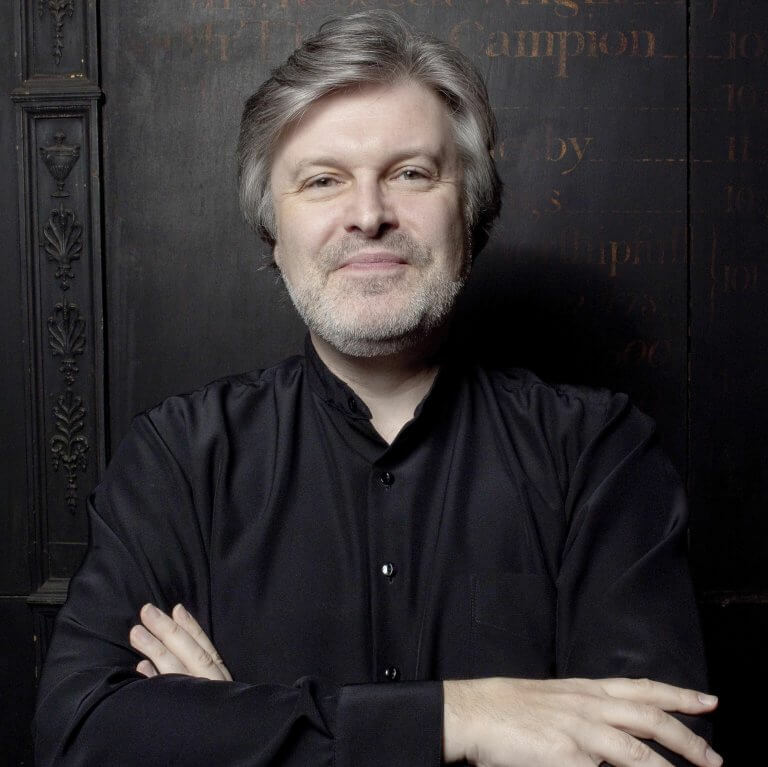 Sir James MacMillan is one of today’s most successful composers and is also internationally active as a conductor. His musical language is flooded with influences from his Scottish heritage, Catholic faith, social conscience and close connection with Celtic folk music, blended with influences from Far Eastern, Scandinavian and Eastern European music. MacMillan first became internationally recognised after the extraordinary success of The Confession of Isobel Gowdie at the BBC Proms in 1990. His prolific output has since been performed and broadcast around the world. His major works include percussion concerto Veni, Veni, Emmanuel, which has received close to 500 performances, a cello concerto for Mstislav Rostropovich and four symphonies. Recent major works include his Percussion Concerto No.2 for Colin Currie, cocommissioned by the Philharmonia Orchestra, Edinburgh International Festival, Netherlands Radio Philharmonic Orchestra, Orchestre National du Capitole de Toulouse, Baltimore Symphony Orchestra, São Paulo Symphony Orchestra and Cabrillo Festival of Contemporary Music and, most recently, his Trombone Concerto, written for Jörgen van Rijen, which was premiered by the Royal Concertgebouw Orchestra conducted by Iván Fischer. Conductor of the Netherlands Radio Kamer Filharmonie until 2013 and Composer/Conductor of the BBC Philharmonic from 2000-09. Highlights of the 2017/18 season include a performance at Edinburgh International Festival, conducting BBC Scottish Symphony and appearances with London Philharmonic Orchestra, where he also mentors the 2017/18 Young Composers Scheme. Elsewhere this season MacMillan conducts the Danish National Symphony Orchestra, RTÉ National Symphony Orchestra and the Scottish Ensemble. This season a number of new MacMillan works will be premiered including Larghetto for Orchestra by Pittsburgh Symphony, The Sun Danced by Gulbenkian Orchestra, a choral work for The Sixteen and a saxophone concerto for Amy Dickson. In October 2014 MacMillan founded his music festival, The Cumnock Tryst, which takes place annually in his native Ayrshire. MacMillan was awarded a CBE in 2004 and a Knighthood in 2015. MacMillan has directed many of his own works on disc for Chandos, BIS and BMG, most recently a series on Challenge Records including MacMillan’s violin concerto A Deep but Dazzling Darkness and percussion concerto Veni, Veni, Emmanuel with Colin Currie and the Netherlands Radio Kamer Filharmonie. His recent release on Harmonia Mundi conducting Britten Sinfonia included his Oboe Concerto and won the 2016 BBC Music Magazine Award; in 2017 The Sixteen’s recording of MacMillan’s Stabat Mater was nominated for a Gramophone Award and won the Diapason d’Or Choral Award.